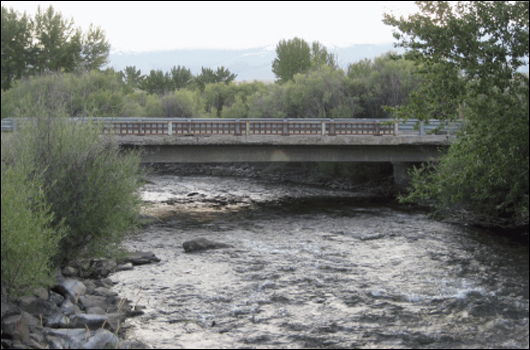 RIGBY – A unique Idaho Transportation Department collaboration within Districts 4, 5 and 6 — the south-central, southeastern and eastern idaho regions of the state — allowed those groups to come together and identify 17 bridges in dire need of replacement. The team created one project that combined all 17, saving more than $3 million in construction, plus an estimated $100,000 per bridge ($1.7 million) during the design phase — a grand total of $4.7 million. This allowed ITD to save money while increasing mobility and economic opportunity. “The incredible savings are associated with grouping projects across district lines and working together,” said Sprague. They also were successful in finishing the data collection and concept designs necessary for these 17 bridges at a fraction of the cost of doing each individually. Each of the bridges had reached their 50-year life span, so they all were in need of replacement. Each bridge will be brought up to current design standards; being wider to accommodate wider shoulders or future widenings, and in most cases longer, to better accommodate ever-changing waterways. As a result of the future shoulder widenings, ITD also will be minimizing the amount of guardrail needed.